Цифровизация рабочих процессов для оптимизации ежедневного ведения бизнеса, чтобы всё было просто и понятно. Digital audio networking solutions. State-of-the-art interoperability. As one of the world’s leading producers of audio technology, Sennheiser has aimed for decades to provide up-to-date audio solutions. Sennheiser’s decision to make use of Dante™, the worldwide leading multi-channel audio over IP standard, is part of this ongoing effort to create future-proof products. 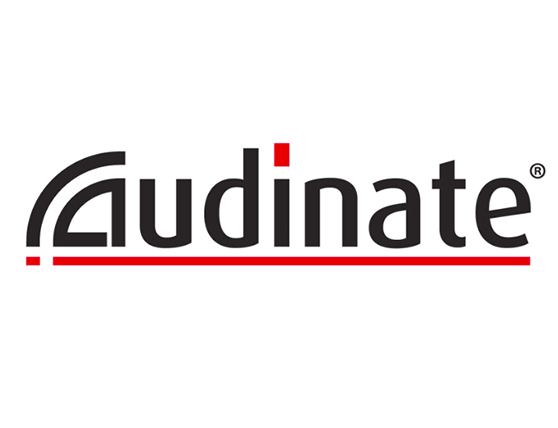 The Australian based company Audinate created Dante™ as digital media networking technology with near-zero latency and synchronization that has been established as key audio networking solution preferred by leading AV manufacturers from all over the world. 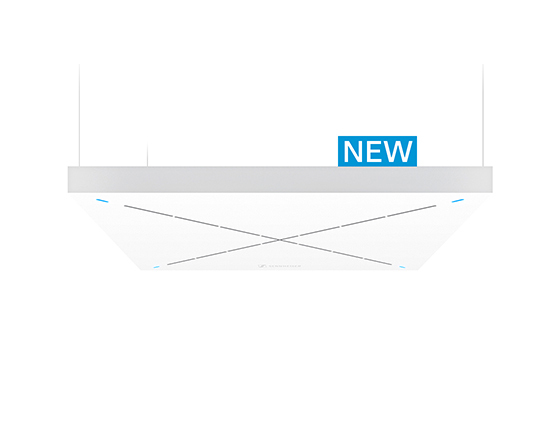 The new ceiling array microphone offers superior audio quality for voice and video conferences thanks to its automatic adaptive beamforming technology. 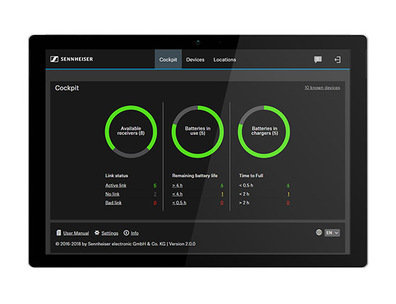 It provides the greatest versatility and interoperability with support for Dante networks, including compatibility with Dante Domain Manager (DDM), and Power over Ethernet. 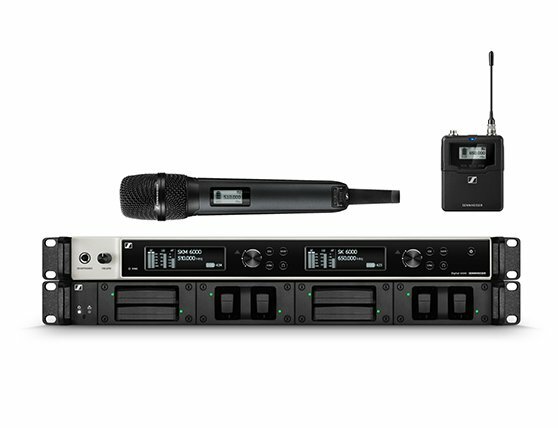 With its Dante™ enabled digital wireless microphone systems, Sennheiser covers a wide range of customer needs: SpeechLine Digital Wireless is a highly cost efficient solution optimized for speech intelligibility, the Digital 6000 Series stands for no-compromise digital wireless microphones and the top-of-the-range solution is the Digital 9000 microphone system with uncompressed wireless audio. 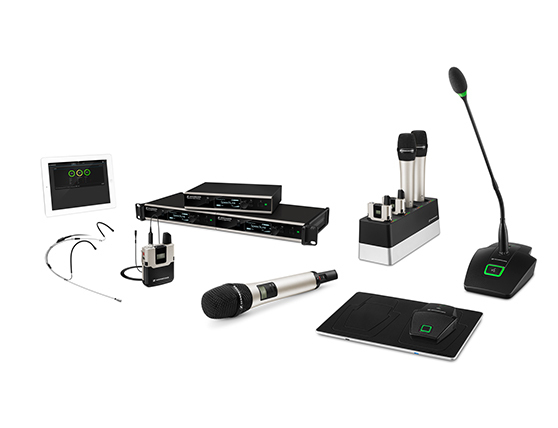 The world’s first digital wireless microphone exclusively for speech. No audio know-how is required – it’s already built in. Experience Simplicity with Sennheiser SpeechLine Digital Wireless Microphones. The SL DI 4 XLR four input Dante™ preamp is the ideal interface for wireless microphone receivers as well as for adding mic/line inputs to a Dante™ system. Compact and powerful: Digital 6000 is Sennheiser's first digital two channel receiver in one rack space and designed for demanding multi-channel applications in every detail. The EM 6000 receiver is fitted with a digital AES-3 output, high-quality transformer-balanced analogue XLR-3 outputs and ¼” (6.3 mm) jack outputs. The Dante™ version of the receiver offers an additional Amphenol RJ-45 connector for integration into a Dante™ network. 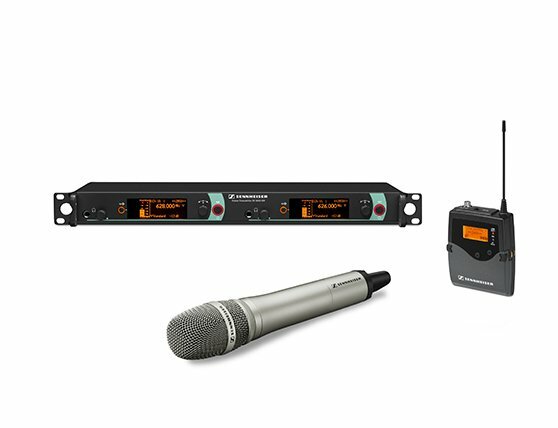 The Digital 9000 system has been developed for all professional users in broadcast studios, theatres and live performances unwilling to comprise on sound. Its unique uncompressed digital audio transmission offers artefacts free sound with great dynamics. The Dante™ card EM 9046 DAN for the EM 9046 receiver enables the Digital 9000 wireless microphone system to be integrated into Dante™ networks. The SL DI 4 XLR four input Dante™ preamp is the ideal interface for wireless microphone receivers. As analog to digital audio converter, it allows for adding analog microphone systems to a Dante™ system. The small form factor of the SL DI 4 XLR allows it to be mounted almost anywhere and to get close to audio sources to minimize interference-prone analog wiring. All Sennheiser XLR microphones of the evolution wireless G3 Series, the 2000 Series as well as all SpeechLine Wired installation microphones are compatible with SL DI 4 XLR. The SL DI 4 XLR features four balanced mic/line XLR inputs, each with software selectable +48 V phantom power and selectable gain levels. The evolution wireless G3 series provides professional wireless solutions for large stages and multi-channel applications. The three G3 Series ew 100, ew 300 and ew 500 meet every expectation in these respects – made by professionals for professionals. 2000 / 5000 Series - Your Challenge. Your Choice. 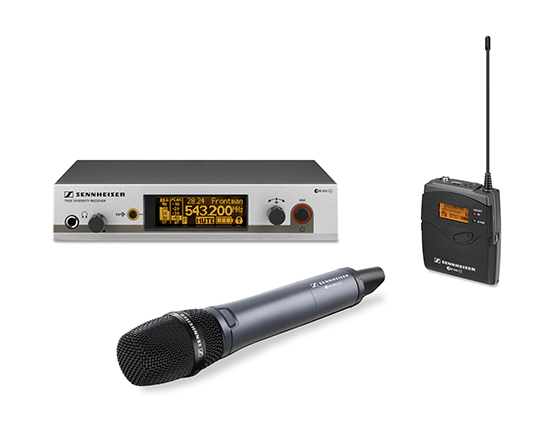 Be it sports events, theatre productions or any other kind of live broadcasting - when capturing live sound is the challenge, most sound engineers and rental services around the world agree upon the same solution: The wireless Sennheiser 2000 Series. 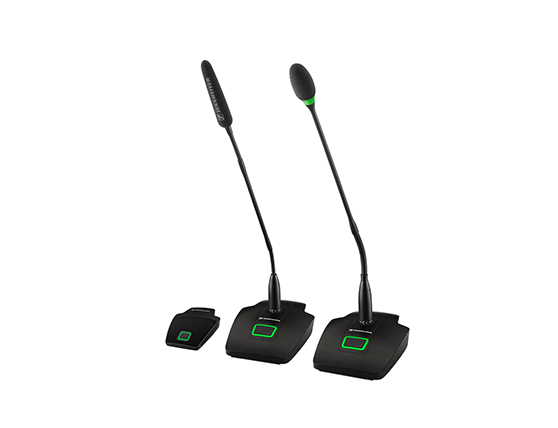 Great for both meetings and presentations, the SpeechLine Wired microphone series has been developed specially to deal with the spoken word and guarantee top-class speech intelligibility. 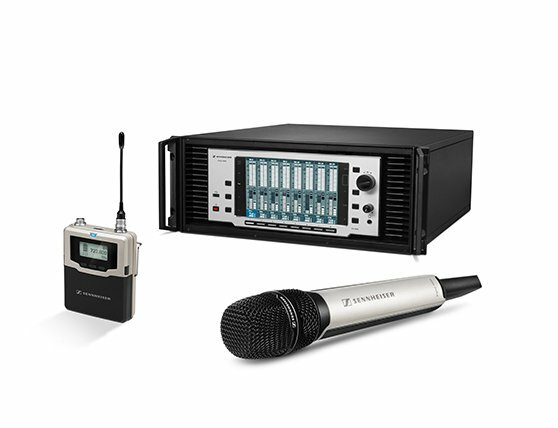 For the application presentation and lecture, Sennheiser offers two dedicated wired microphone Dante™ Kits which are both compatible with the SL DI 4 XLR four input Dante™ preamp. 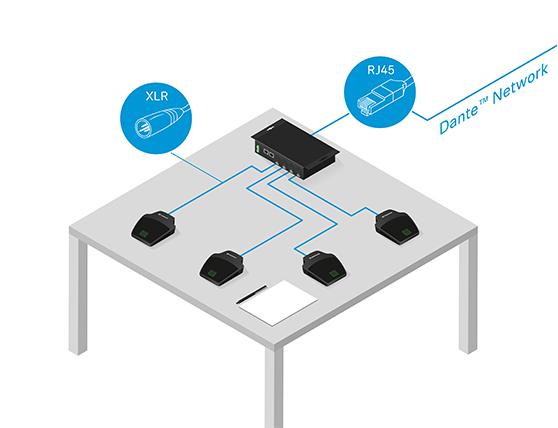 For example, you can connect four MAT 133 tablestands to the four mic inputs of the SL DI 4 XLR that transfers the audio signal to your Dante™ network over a single RJ45 audio cable. 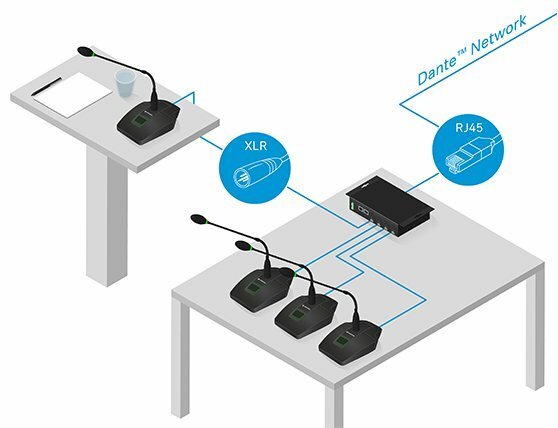 For the application meeting, Sennheiser offers three dedicated wired microphone Dante™ Kits which are all compatible with the SL DI 4 XLR four input Dante™ preamp. For example, you can connect four MEB 114-S boundary microphones to the four mic inputs of the SL DI 4 XLR that transfers the audio signal to your Dante™ network over a single RJ45 audio cable. The Dante™-Kit MEB 114-S includes the SL DI 4 XLR and four MEB 114-S boundary microphones. Цифровая передача с отличным качеством звука и простотой использования. Надежный SL Handheld DW оптимизирован для речи в презентациях и лекциях, где каждое слово важно. Part of Sennheiser’s Global Alliances is the collaboration with Australian based company Audinate that created Dante™, the world leading digital audio networking solution when it comes to live audio, broadcasting and installations.